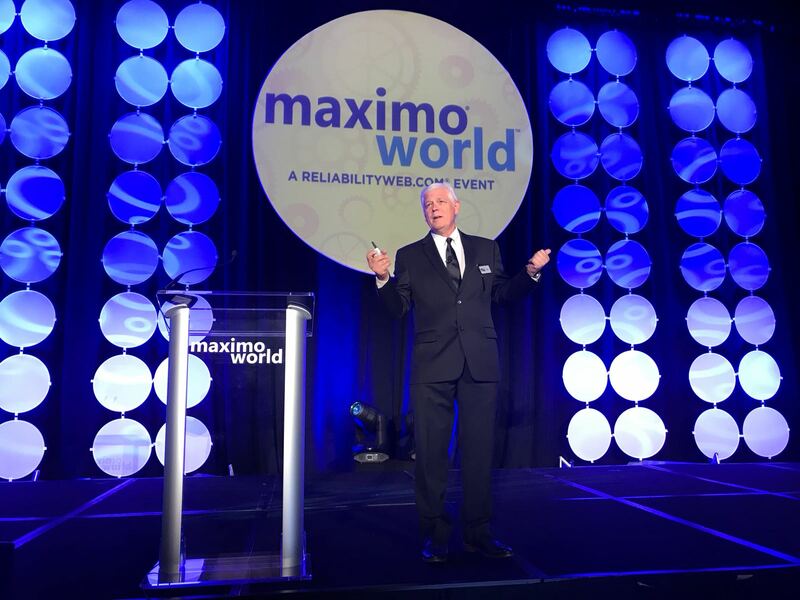 Day one of MaximoWorld was everything we were hoping for. The energy was palpable as everyone converged on the Walt Disney Swan and Dolphin hotel in Orlando, FL. As attendees rolled in throughout Monday, everyone was greeted with hugs, smiles and invitations to drinks and dinner that evening to catch up. It truly felt like a reunion! Video: IBM Watson IoT welcomes you to MaximoWorld! 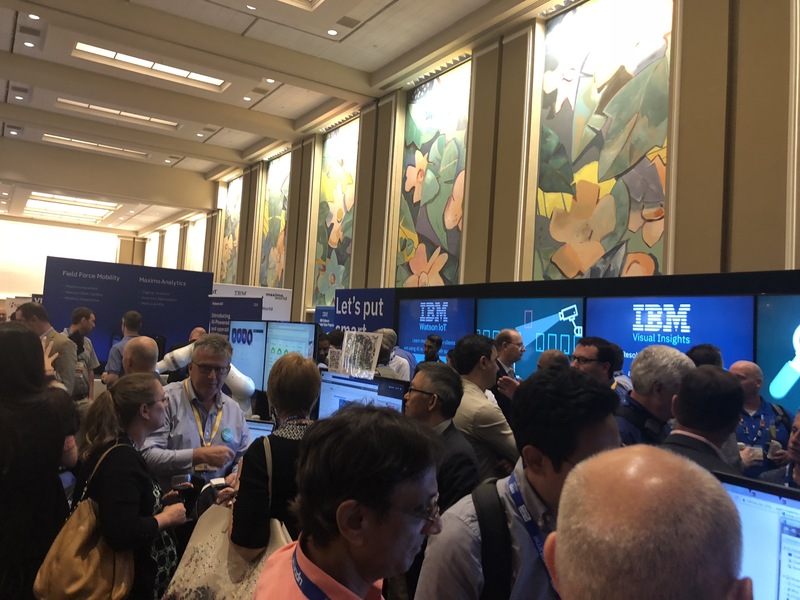 Day 1 was focused on celebrating the Women in Reliability and Asset Management (WIRAM), the IBM keynote, and the grand opening of the expo hall. Check out some of the most memorable quotes and moments below. The event kicked off with opening remarks from ReliabilityWeb’s Dave Reiber. He shared his thoughts on what it means to be a great leader in the reliability and asset management space. Every person who touches an asset – from the floor sweeper to the CEO – has an obligation to be a reliability leader. Are you stepping into this opportunity? Reliability is for everyone and it starts with action. We all understand the value of safety in our maintenance environments. But reliability efforts are critically important too. Failure of a piece of equipment or part can lead to catastrophic consequences. In this sense, we need to spend more time celebrating those reliability professionals who spend their days making sure bad things do not happen. When the plant doesn’t blow up and the factory does not fail, this is a sign that we are doing our jobs right. The future of enterprise asset management lies in how we use the data from our assets. Gaining a competitive edge using data was not possible ten years ago because we lacked the connectedness to help us put this information into context and gain insights from it. We are now seeing ecosystems form around how to use this data, such as the industrial internet of things (IIoT) and artificial intelligence (AI). Organizations want to get more value out of their assets and these technologies can help them do that. The time is now to take advantage of these technologies. Check out the complete recap of the keynote. Today’s keynote wrapped up by highlighting yesterday’s announcement on IBM Equipment Maintenance Assistant. This innovative new technology improves problem diagnosis and provides guidance to help technicians identify the right repair the first time. Watson learns from equipment and engineering manuals, data from EAM systems, IoT sensor data, and regulatory standards. It aggregates this data and applies machine learning to generate insights. In this way, it enables all of your technicians to perform like your best technician. This year’s Women in Reliability and Asset Management (WIRAM) luncheon featured triple the number of attendees as the same event last year! The demand was so great, the team had to upgrade rooms at the last minute. This is a great sign of gender diversity growing in this field. The keynote speaker, Natasha Ravinand, was a hit. She is an extremely accomplished woman – and has not even graduated high school yet! Author of Girls With Dreams, her hope is to help more women become leaders in the tech space. She recalls having conversations with girls who talk about how hard it is to go into a field when nobody else “looks like me.” It is in those moments where it is most important that we step up to help these girls succeed, to be leaders and to create future leaders. 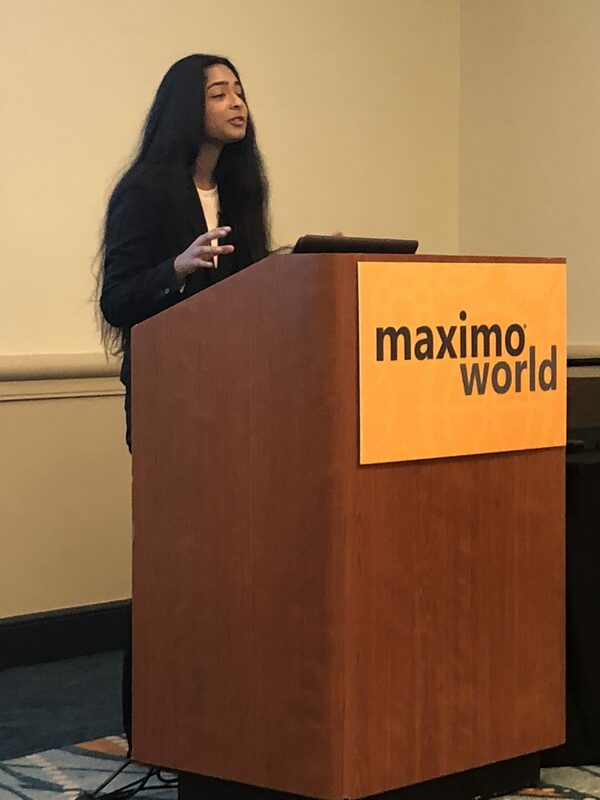 The expo hall opened promptly at 4pm and the booth was immediately crowded with attendees eager to hear more about what’s new with Maximo. The booth featured two activations – a robot and an augmented reality (AR) helmet. 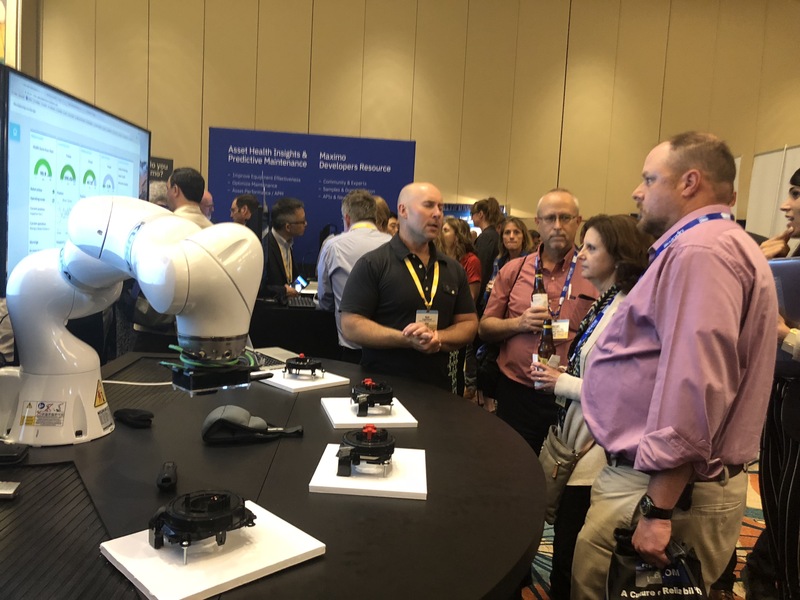 The robot is on display to highlight new features around asset performance management (APM) such as Maximo Asset Health Insights, IBM Acoustic Insights, IBM Visual Insights and the newest offering, IBM Equipment Maintenance Assistant. The DAQRI helmet is on display to showcase the next era of field service management. Using AR, field technicians can improve data visualization and preventive maintenance. In addition to these great activations, the booth also featured six demos. These demos focused on predictive maintenance, industry solutions, and more. With all this learning, we also had to mix in some social activities. Attendees had the option to participate in a Facebook Live session (find the replays on our Watson IoT Facebook channel). We encourage all attendees to identify their Maximo experience levels using the button wall. Everyone who participates had a chance to win a cool prize. Look at how many Maximo masters we have! Attendees took a pin based on their Maximo experience level. Day one was fantastic but there is still so much more to come! Over the next two days, we will continue to showcase great client stories and innovations. There are many more social activities – including MaxStock tomorrow evening! And the booth is open for the next two days, so don’t forget to stop on by. Check out the Maximo demo featuring Maximo Anywhere, Maximo Asset Health Insights and more! 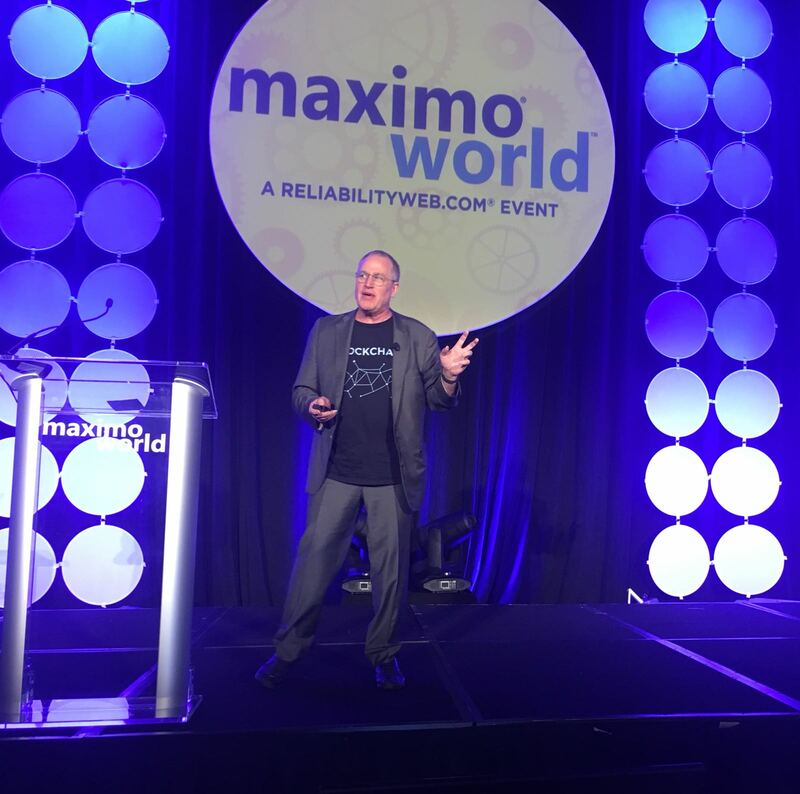 The post Top 6 Maxi(Mo)ments from day one of MaximoWorld appeared first on Internet of Things blog.